I never thought that writing an eBook was going to be easy, however, I had no idea it would be so difficult. 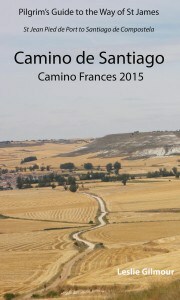 My travel eBook is a guidebook for the Camino de Santiago, the main route called the Camino Frances or the French Way. My book is now finished and self published on Amazon. I feel great relief at finishing, at some points along the way I wondered if I ever would. The book amounts to just under seventy thousand words, a lot for me, and the average length of standard novels. It would certainly have been easier if for my first eBook I had picked a shorter walking route. 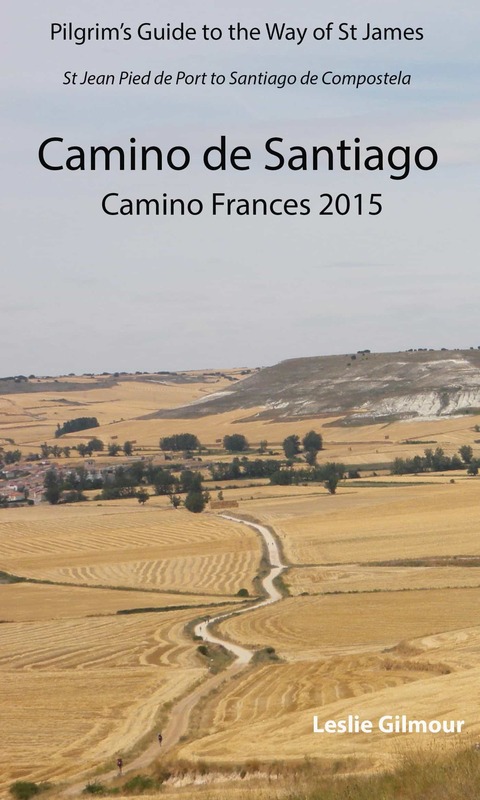 The Camino Frances is 780 km that means it covers a lot of places with a huge amount of detail. I have walked the route twice and written about it for ten years, first a few magazine articles and since 2006 a website; I later added a forum and have answered hundreds of questions there; so I thought I was in a good position to write my book. I had no idea. Looking back it was better that I did not understand how much this would push my tolerance for working with detail. Writing general articles on the web makes it too easy to gloss over the necessary details required for a book. My eBook lists over three hundred towns and villages – researching that amount of locations takes a lot of time and patience that I am not naturally endowed with. Each of these places usually has at least one or more accommodations to be listed; in larger towns and cities it can be ten or more. When I started listing the hostels my detail was too deep. I was adding information on cost of washing, drying, how much meals were, all detail that would be out of date as soon as I typed it, or shortly thereafter. In addition I did not want to create a whip for my own back. I tempered this slightly; meals and washing fell into very tight price bands so I was able to use that as a general indicator. However I still wanted the cost of each hostel, with telephone numbers and websites. I had also wanted to add hotels and pensions, however, that became too much and will be considered for the next edition. Getting a balance between what was needed and what I would like tortured me for a while. The book at some point has to be finished, mistakes and all. A friend said to me on a regular basis “there is no good writing – just good re-writing”. I don’t completely agree; there are sometime I know when I have written something that flows great, and conversely I struggle with some clunky posts. Though when it comes to seventy thousand words proof reading is essential. I have to admit that my own re-reading has not been great, so I started reading it out loud to myself, which helped. Someone else suggested changing the font and re-reading. But the best way is getting it professionally proof read. I don’t have the money for that on this project. My other half is doing it and I am relying on the help of friends, and to some extent the tolerance of the reader. Not a great strategy. Most of the writing has been on Microsoft Word. Re-reading the book now on Kindle I can see errors, and I am uploading new versions, almost daily. Word is fine for a blog post or a short article of a couple of thousand words, but it does miss the wrong word usage and plurals. Having read only a tiny bit about using images in Kindle eBooks forewarned me that this could be a problem. However, the problem was much worse than expected. In addition Word kept reducing the size, (height and width), the file size of each image, and lastly it would reduce the DPI, dots per inch. So there was no alternative but to get into the HTML. It has been a while since I have got my hands dirty with code, and I was never that great back then – passable. Even though the code was filtered Word still left a lot of dirty HTML. Spans had to be removed at every page break, the table of contents did not work, and the CSS needed to be completely re-written. This all took time I had not budgeted for – but I do know better, web projects always over run the time allowed. I added each image individually into the HTML file. I ended up doing this more than once. The first images were too small, the second too big – yes, I did get it right the third time. We have had lots of discussing at home about the pricing. As usual I want to price it low; I have a bad habit of not valuing my work or myself very highly. Whereas my other argued for a higher price. She is better at valuing my work; but also she knew very well the time I had used during evening and weekends. I did start with a higher price than the book now sells at. This was due in part to the file size after more than eighty images being uploaded. The mobi file at that point was 15mb. Amazon charges authors per megabyte when someone buys their book. Therefore 15mb is equal to $2.25 for every download – this influenced the initial price. Once my book was available for sale the file size had reduced to less than 9mb, after seeing this I reduced the price. I have worked in the online marketing area for the past ten years. So you would expect me to have a great plan in place. I don’t, I have no plan. I became so caught up on finishing the book that many other things were completely ignored. Marketing, home life, most of my work, the list goes on quite a bit. I do have two websites in the area, a mailing list, and a fairly substantial Facebook following – however I have given no real though about how to spread the word even within these areas. So I am not much different from many of my clients that turn up with finished websites and no real promotion plan. My timing is not great. I aim for the book to be published yearly with updated information. Publishing at the end of April is five months late; ideally the book should have been published at the start of December for the following year. Perhaps this is just the way it is and I will get better at the timing and all the above next year. Yes. However, let’s deal with the financial aspect first. The book will never cover the amount of time I used if I measure it against my day job. If it were all about money I would have spent all that time working and building my business. I started dreaming about the book in 2009. I wrote a little back then and was diverted by highly paid work. It bugged me that I had not pursued this dream and last year I started writing with the intention of finishing. The problem with dreams is that they require more hard work than following other paths. I have learned a little more about myself, I have published my book, I know a lot more about the subject area, and I am very happy that I finished it. Update: New post on ebook marketing for independent authors. I hope now that some find it helpful. It can be viewed on the iPhone via the Kindle app. But I need my glasses to read the maps, the rest of the information can be read fine. What a terrific article, honest and accurate. Especially loved the part about “dreams.” Oh, yes, don’t we know just what you are talking about? You are so valuable to us all; you have no idea. Glad your wife is there to remind you! technophobe here, I only have a lap top – what do I need to read the book en route – do i need wifi service – any advice ? thanks. You need a smart phone or tablet to read the book while traveling. The eBook downloads, so you don’t need wi-fi access. do you plan to ever publish in paperback? thanks for all your work and dedication. I have scoured your website and links regularly as I plan my first on the Camino. I am hoping to next year. But, first I am doing the ebook updates.